This tale of adventure is set in the 1830's when life was hard for anyone trying to survive in the wilds of Canada, but particularly challenging for the children of intermarriage between the native Indians and the European settlers. A half Scottish, half Cree Indian girl called Amelia Otterchild Mackenzie discovers she has a unusual bond with the strange new creature which has been transported to the trading fort where she lives. 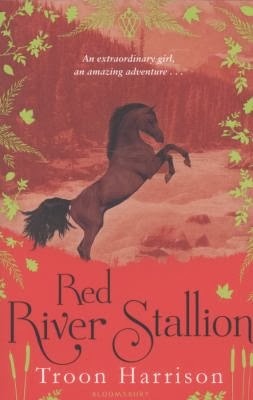 Can this beautiful red stallion, which the Indians call 'big dog', lead Amelia and her little sister, Charlotte to a better life? Is she prepared to take the risk and leave everything she knows to find out?